The Chantry House is a high-status, late-medieval building adjacent to the Church, for which it is used as the church hall. It is available for hire for a variety of purposes, including parties, seminars, and concerts, all at very reasonable rates. 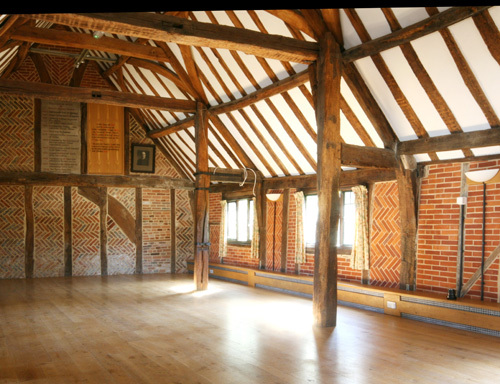 The finest timber-framed building in Henley, the Chantry house is the only Grade I listed structure in the town. It has had many uses over the centuries of its existence, including as a school, and has recently been extensively restored. The name suggests that it housed some of Henley’s medieval chantry priests, but in fact the name originated only during the early 20th century. During the summer, teas are served on Sunday afternoons between April and September. On sunny days, teas can be enjoyed on the picturesque churchyard terrace.